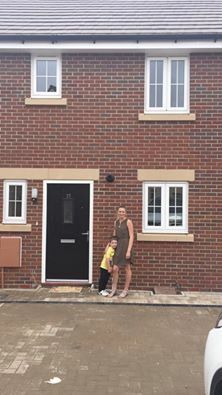 As most of you know, Leo and I moved house a few months ago. It's still a work in progress but every week means I am getting another objective ticked off my never ending to-do list. Over the weekend I managed to tick off another one of those jobs, and it has meant that I can now cast my attention on Leo's bedroom. Leo's bedroom is one of the rooms I have been aching to complete, it seems we have been waiting on certain pieces of furniture to arrive so that I can really get it to be the functional room I have dreamed that it will be. With the arrival of Leo's bed, it has meant that we can really get stuck into it and start to put that personal mark on it for my little man. I wanted the room to be a smart but simple design, Leo is growing up and he is swapping and changing his mind about characters and all sorts (As children do of course), so it has just made me that more determined to provide him with a room that can grow with him. I want to decorate it once and then know that he is sorted and happy for at least a couple of years! So I had a number of objections that I have to fill, but it still leaves a lot of scope to play around with. I have been having a look at the Esprit Kids Bedroom's and have fallen in love with a number of items that I would just love to install in Leo's room. Now I don't want to make Leo's room boring, I just wanted to take a step back and give him a room that didn't look as childish as the rooms and designs we have opted for in the past. I can only see this as a positive, especially when he is coming home on a daily basis and telling me that he no longer likes this, and he no longer likes that. So we opted for a space theme and these are some of the additions that I am hoping to entwine. 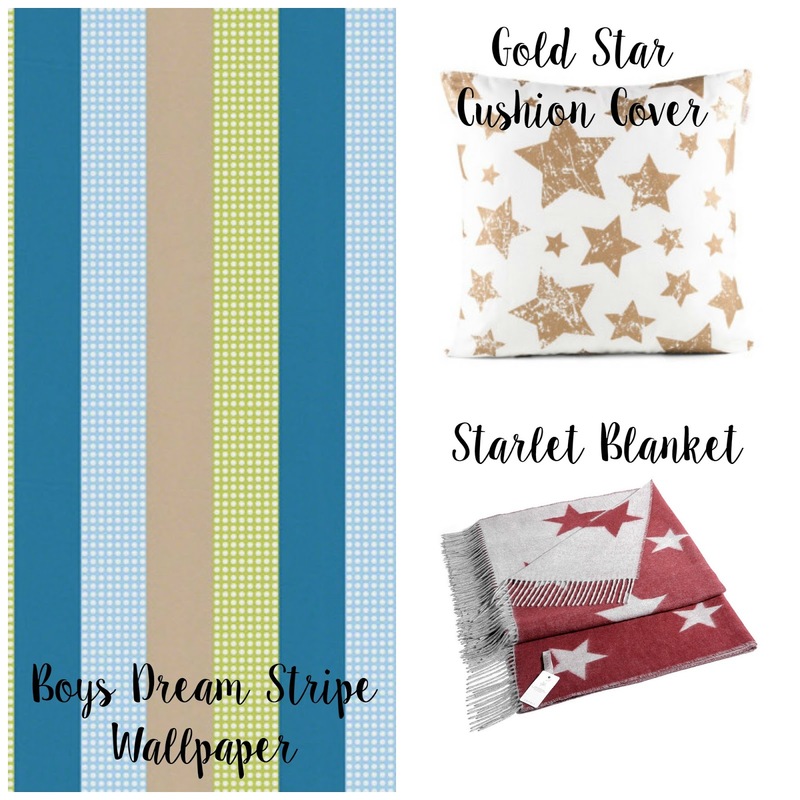 In the photo we have the Boys Dream Stripe Wallpaper - £ 15.95 - , the Gold Star Cushion Cover - £ 19.00 - and my favourite the Starlet cashmink reversible blanket - £ 75.00 - . Staying simple doesn't have to be boring, and these items really show what you can achieve. I love all of the different colours and textures that are shown here. There is nothing that pin points a specific age, so it means it can be enjoyed for so much longer. I intend to get really stuck into Leo's bedroom this week, and hopefully it will start to take shape pretty quickly. I for one will be over the moon when I can finally just sit back and enjoy it all.